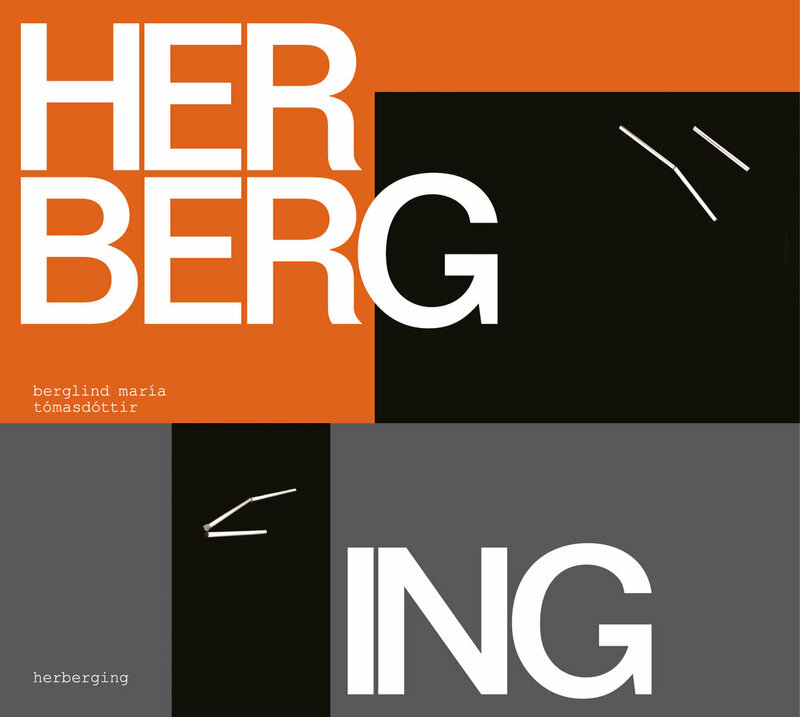 My new album, Herberging, is out now on Bandcamp and streaming on Spotify. An extended version of the album, featuring poetry by Sigurbjörg Þrastardóttir translated by Sarah M. Brownsberger, can also be purchased in various stores in Reykjavík and through Bandcamp. This summer I've been busy touring with Björk (!) as a member of the flute septet viibra. Check out our Instagram here. We also played on Jools Hooland. There is plenty of pictures from the tour on Björk's FB page here shot by the amazing Santiago Felipe, below is one of them. Here are some highlights from last year featuring sound excerpts, pictures and videos. Bergzies by Clint McCallum. 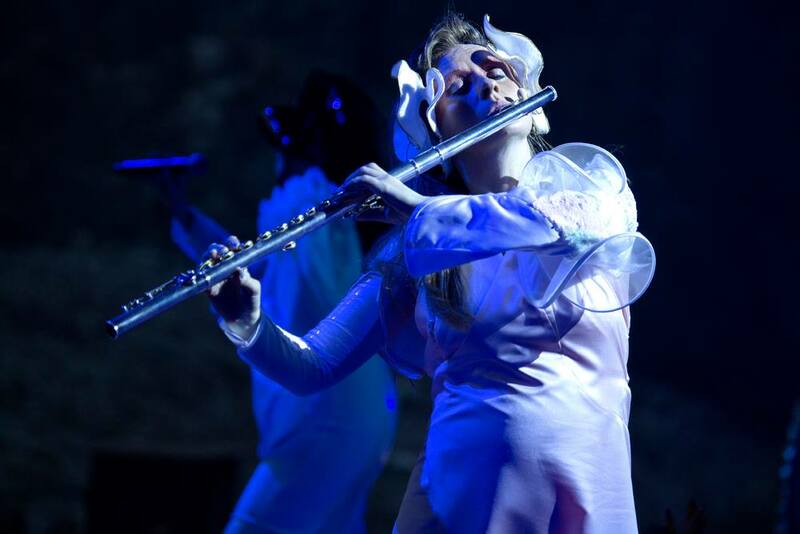 Performed in February at Mengi Reykjavík (where it was premiered), Seyðisfjörður and Eskifjörður as a part of a solo flute show entitled Flute and Noise. Here is a live recording from Mengi. An excerpt from Variations II by John Cage. Performed by Lilja Ásmundsdóttir on her instrument Hulda and me on Lokkur. We played it at IAA’s Hugarflug Conference in February and at a Children’s Concert in Mengi in April. Pictures from a workshop in Visby, Gotland in May. This is a study called The Colors of the Wind in which I invite people to come listen to the wind play the flute. Photos: Þorgerður Edda Hall. The workshop was a part of a work in progress from the two-year Erasmus+ Strategic Partnership NAIP: Training Artists Without Borders (2016-2018). The work will be presented next month at the Reflective Conservatoire Conference at Guildhall, London. COW Concert Series took place in the Fall at Mengi featuring works by Pauline Oliveros, John Cage and Christian Wolff, and others, with participation from students at IAA, Erik DeLuca, Einar Torfi Einarsson, Mathias Halvorsen and others. The concerts can all be watched on Mengi’s Facebook page. The concert featuring works by Christian Wolff. The one featuring works by Pauline Oliveros and the last one we did featuring works by John Cage. I had the pleasure of doing two shows with Stephen Dorocke and Julian Thayer; one in February and the other one in November in which we were joined by Katinka Kleijn and Paul Lydon. Both shows featured improvised music. An excerpt from the one in February. Deilt með tveimur. A festival hosted by The National Radio RÚV curated by me. Here is a video from the concert I did with Bergrún Snæbjörnsdóttir and Hafdís Bjarnadóttir featuring three works, one by each one of us. My piece Concert for Horn, Lokkur and Rokkur is the last one on the program. This was one out of four concerts on the program which can all be watched here. Music for Political Spaces by my colleague at IAA and composer Einar Torfi Einarsson. This piece will have its premiere in a week at Dark Music Days. The picture is from a video performance filmed in a house in Reykjavík City Center which has now been torn down. Photo: Einar Torfi Einarsson. Also happy to be a part of a project by Anna María Bogadóttir about the same house. A group of musician did a Deep Listening Meditation within the building in its last days; a eulogy of sorts. Other fun music activities: Participating in John Fonville’s Portrait Concert at UCSD, working with my friend Brian Griffeath-Loeb and inviting him as a guest lecturer at IAA, playing with singer and Langspil expert Eyjólfur Eyjólfsson at the Folk Music Museum in Siglufjörður, leading workshops for flute students in Akureyri and the East Fjords, playing in Bergrún Snæbjörnsdóttir's piece at Norður og Niður Festival. Last but not least: taking part in Björk’s new album: Utopia! Here is a video with all the flutists that took part in this adventure. Earlier this month I gave a workshop on improvisation and Deep Listening in Akureyri. The group of flute students age 10-18 from Akureyri and vicinity, it was a lot of fun. In this picture we are playing Tuning Meditation by Pauline Oliveros. Frábært að heimsækja flautunemendur norðan heiða og kynna þá fyrir djúphlustunartækni í anda Pauline Oliveros og vinna með þeim að spuna. Á myndinni erum við að baða áhorfendur upp úr Samstillingaríhugun Pauline Oliveros. One of the things I really enjoy as a professor at the IAA is working with students on their music. Here is a documentation of a work in progress by Bart Bruinsma who was an exhange student (from Groningen) in the spring. It was such a pleasure working with Bart and he taught me how to fall - see two minutes into the video! Happy to share this, it's "only" been six years since Tiffany DuMouchelle (voice), Pablo Gómez Cano (guitar) and I premiered this wonderful piece by Anna Thorvaldsdóttir. Below are three postcards from a performance of Variations II by John Cage. Performed at Hugarflug -- with Lilja María Ásmundsdóttir. Here is a short video from a rehearsal last Friday in Mengi. The fellow who is playing with me is Stephen Dorocke who plays the very lovely instrument Resophone. You can listen to it here. Our show last Friday in Mengi also featured double bass player Julian Thayer, who also does interesting stuff in other fields.